Meal times are an important time for families to get together and bond. Your little one will learn how to be a part of meal times as the Hokus Pokus is the perfect height to be pushed right up to the dinner table. There are rubber bumpers to help minimise any marks or damage to your table. Make the whole family part of the dinner routine and let your little one develop and grow with you. Role playing is an important part of a child’s development. With a simple flip of the Hokus Pokus we have the rocker. 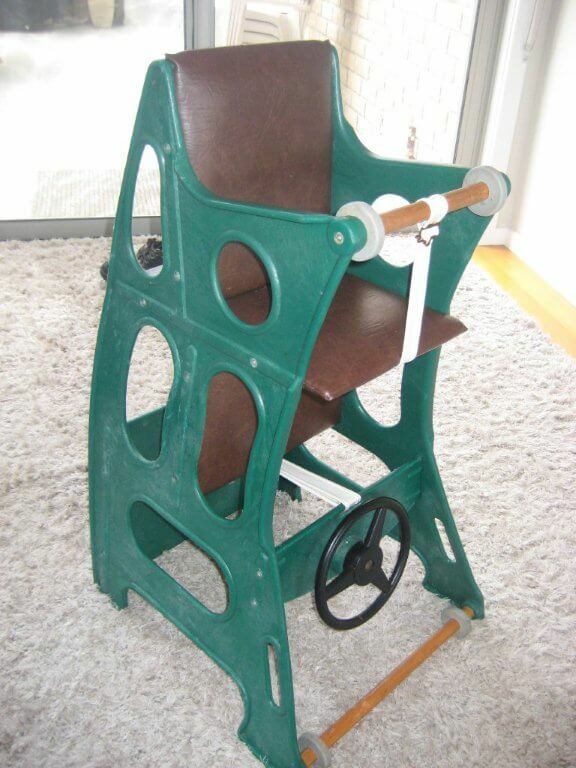 Consequently your young loved one can pretend to drive just like Mummy and Daddy with the rocker function. A steering wheel compliments this function and assists with your child’s learning and development through various motor skills and interactivity. With a simple flip your child can be entertaining themselves with art or craft activities at the low table. The table function is perfect for your little one to eat and ‘make a mess’. With a large table area it gives ample room to spread things out and experience the joys of food. Also the small lip helps keep things on the table and assists with clean up – just wipe with a damp cloth. Replacement screws for Hokus Pokus highchairs. Don't just take our word for it! 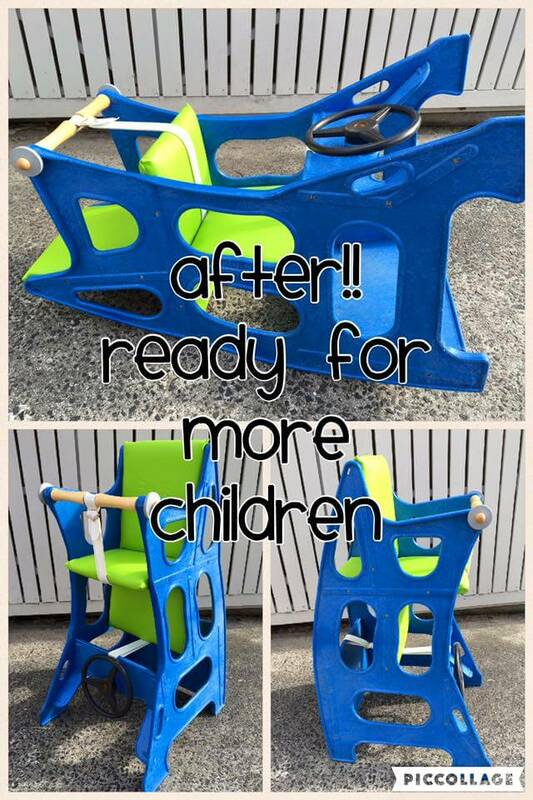 These highchairs have a very loyal following and those that use them love them! I had a hokus pokus when I was a baby and it is still going strong now 25 years later. It has been used a lot since I had it and I plan on using it when I have kids. 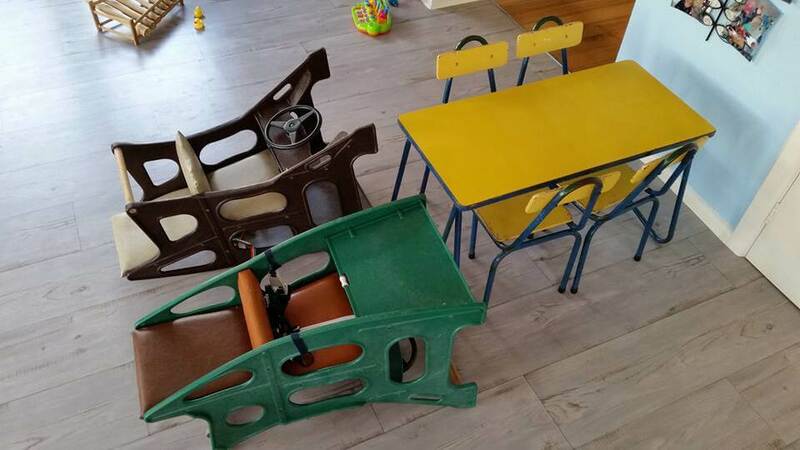 This rocking car/high chair/ table chair setting is the most cleverly designed simple piece of multi functioning child gizmos anyone could hope for. Trust me; It will last you for years. Stories about stuff..........but mostly highchairs! What is a highchair worth? How long did your highchair last? When do I start using a highchair? We don't have a shop, but if you live in Melbourne we are happy to show you the chairs in person.